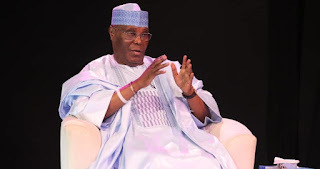 People's Democratic Party (PDP) presidential candidate Alhaji Atiku Abubakar yesterday promised to establish Electoral Fraud Commission to try anyone found infringing on electoral laws. Atiku said the present government lacks political will to punish offenders. He and his running mate, Peter Obi, spoke yesterday on The Candidates programme aired live on the Nigerian Television Authority (NTA) in Abuja. Atiku said he and Obi have what it takes to end poverty in Nigeria. He said he has been able to lift 45,000 persons out of poverty in his home state of Adamawa. “A few years ago, I set up a microfinance bank and I brought in someone from Bangladesh and you know they are the best in the world in that area. I told him I wanted to lift people out of poverty and I want you to dedicate 80 per cent of your loans to women. You know how many persons I was able to lift out of poverty? 45,000,” he said. The former vice president said Nigeria needed a pro-business and private sector-driven leadership to create jobs for its 21 million unemployed youths. According to him, one of our major plans is to create jobs in the agriculture sector, which has the largest capacity for job creation. On corruption allegations against him, Atiku said he is the most investigated public officer in the country, who had never been found wanting. He lamented the dearth of middle class in Nigeria, blaming President Muhammadu Buhari’s administration for the collapsed of the middle class. On Boko Haram, he said the setback by the military was as a result of lack of equipment and welfare. If elected into office, he promised to investigate military hierarchy indicted in short-changing the soldiers. On Shiites/military clashes, Atiku said military has nothing to do with the Shiites. According to him, police should have been allowed to deal with them. On farmers/herders’ clash, he said both of them need to be enlightened on the existing laws. He lamented the collapse of nomadic education, promising to revive it. This, according to him, will minimise the movement of nomads and allow them to concentrate in a particular area. Atiku refuted fraud allegation levelled against his wife, saying his wife had never been indicted or accused of such offence. “My wife has not been indicted and she has not been charged. So, there is no way you can hold her accountable. She has been traveling to America very often,” he said.